And duel it was. According to Benoît in his post-match report on the Climato-sceptique blog the “enlightened catastrophist”, philosopher Jean-Pierre Dupuy was so unpleasant during the interval that the programme’s presenter Adèle Van Reeth threatened to have him thrown out of the studio. Adèle is to be congratulated for her patience and her apparently genuine desire to explore the subject fairly and thoroughly. Here’s my transcription/translation. I offer it, not as a document that will enlighten you about the theory of global warming, but as a little masterpiece of the Theatre of the Absurd. We’re ending our series this week with an examination of the relevance of scepticism today, based on the scientific and philosophical arguments. 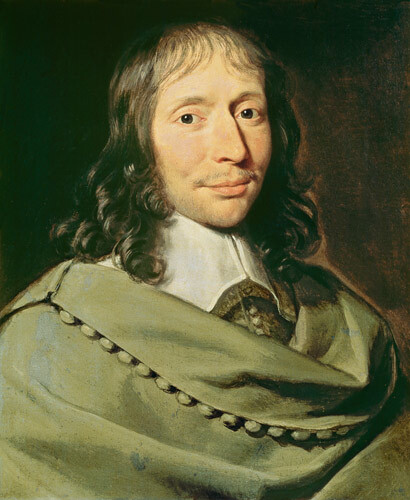 AVR: Jean Paul Dupuy, you became a philosopher after studies at the Polytechnique and the Cours des Mines. You are author of “For an Enlightened Catastrophism” and “A Brief Metaphysics of the Tsunami”, while you, Benoît, are a mathematician, lecturer at the University of Paris 13, author of “The Climate Myth” and “The Exponential Fear”. AVR: It may seem strange to start a programme on climate scepticism with a quote from François Poullain de la Barre – an extract from his work “The Equality of the Two Sexes”. However, Benoît, it’s a suggestion which we accepted gladly, because it’s true that the argument used in this text will prove useful for this debate. Explain to us why. BR: In the climate debate, one of the main arguments put forward is that of the consensus, which is not at all a scientific argument, obviously, because science doesn’t proceed by consensus. It’s essentially a political argument, and it’s interesting to see that, when one looks at the history of science, or more generally the history of ideas, that the consensus, while it’s not always mistaken, is often wrong, and the one here which is not well known, is the idea of Poullain de la Barre, the idea that men are superior to women, which was the subject of a tacit consensus at the time, and which he tried to denounce in this book, and which was taken up by Simone de Beauvoir in the middle of the 20th century. I like this example because it’s quite neutral, it’s not the kind of exaggerated example that you can find for example in the history of science, where much grimmer examples of consensus have occurred in the past. And it’s also amusing to see that nowadays, it’s fashionable to make all kinds of appeals to save the planet. There’s an appeal by a feminist association which believes that saving the planet and acting in favour of sexual equality is the same thing – that’s only a slight exaggeration – it’s interesting to see that these associations base their appeals on a consensus which it seems to me is of the same kind as that described by Poullain de la Barre. AVR: Quite. In the text the principle argument consists in saying that we often take an appearance of truth for the truth itself. Is that one of your criticisms, Benoît Rittaud, of those you call the carbocentrists – you’ll tell me no doubt what you think they think – whom you contest for the urgent character of their appeal for help and the imminence of climate catastrophe. Is one of the things you criticise them for the fact of taking appearance for scientific reality, is it primarily a scientific argument? BR: It’s a bit more subtle than that. In this case there’s an alliance between scientists and politicians. And as always in this case this weakens the science, the fundamental principles of science are forgotten, in favour of moralising. These days, if you’re a climate sceptic, you’re immoral, bad. You’re not simply someone who’s mistaken, who needs to explain himself – which is normal in debate – you’re evil. Just a few days ago a book came out published by le Seuil accompanied by an appeal – no doubt Jean Pierre will be talking about it because he signed this appeal – it’s an appeal to stop climate crime, and in which climate sceptics are designated as climate negationists. So we’re no longer in a normal discussion, not even in a confrontation between two opposing camps, because as it happens one of the two camps, the one I call carbocentrists – but there are obviously several different tendencies among them – we’re in a context of criminalisation, with a desire to ban reflection – it’s said nowadays we need to act, the time for reflection is over. When it’s said by politicians – why not? But in the mouths of scientists, intellectuals – people who are in theory more thoughtful, it’s really extremely disturbing. AVR: Jean Pierre, what is it that you find unacceptable in the position of climate scepticism, and in particular that of Benoît Rittaud here? AVR: Not talk about what? AVR: What don”t you want to talk about? JPD: Hang on, hang on, ok. Now..
JPD: Ok, anyway there’s a consensus about – I don’t know – the validity of – a certain validity of – Newton’s theory of universal gravitation, even though we know nowadays that it is false. Ok, which is to say that even the ideas which we hold to be for the most part – not true, but reasonable – in order to conquer – one could recount the history of – I don’t know – the Galilean revolution, the principle of inertia, if you drop a kilo of lead and a kilo of feathers from the top of the Tower of Pisa in a vacuum – there isn’t a vacuum, obviously – they fall at exactly the same speed, that is to say that the force creates, not the movement but the acceleration – for the ideas that we hold today to be basic for rational mechanics to penetrate, there had to be institutions, lobbies, etcetera, etcetera, and we hold them to be true. So, the existence of a consensus is not in itself a sign either of truth or falsity. Good. We agree about that. So, the only thing that counts is the scientific and philosophical quality of the arguments. JPD: So, there’s one thing we agree about, and I propose that we start from this point of agreement. And I say this against the advice of many climato- what do you call them? -centrists..
JPD: Hang on, hang on..
JPD: Simply that uncertainty – how can I put it? – you take it for ignorance. JPD: I take it to be indeterminacy. There’s a classic philosophical distinction that one has to bear in mind between epistemic uncertainty and objective uncertainty linked to phenomena. Epistemic uncertainty is “I know or I don’t know”. You ask me “What is the capital of Brazil?” “Rio de Janeiro? Mmm, no. Buenos Aires? No, I don’t know.” When I say that I don’t know, I ‘m saying that I know that I don’t know. But there’s another kind of uncertainty linked to the indeterminacy of phenomena, which is objective, and for which it may well be the case that we don’t know that we don’t know, a bit like the blind spot, if you like, in the centre of the retina, where we can’t see, but we can’t see that we can’t see. Ok. So it’s that kind of uncertainty which interests me. The indeterminacy which occurs in climate science, and it’s that uncertainty which is at the heart of the question of scepticism and truth. JPD: I could talk a lot more about it. I hope..
AVR: Yes, quite. Benoît, on this point, is this uncertainty for you, as described by Jean Pierre Dupuy, a reason to doubt the scientific character of the climate catastrophe we’re expecting? BR: The word “uncertainty” can certainly be used in many different ways. We’re rather in a state of ignorance. We don’t know enough about the climate to be able to claim to predict its future states. We’ve never done it. It’s the first time we’ve said what the climate will be like in 50 or 100 years time – it’s the great difference with the confidence we can have – as you have said before about classical mechanics or quantum mechanics – these are sciences which are well established. We’ve made predictions which have been verified. This is something we’ve never done. One may believe it’s possible. I’m not against trying, but just believing, because it’s science, it’s giant computers, it’s modeling, it’s the consensus, is extremely misleading from an epistemological point of view. It’s a science which is young, which has not yet established itself, which is perfectly normal because the climate system is probably the most complex physical system that we know of. It’s not for nothing that in the sixties Chaos Theory, which we don’t talk much about but which is a real intellectual revolution in mathematics and physics and the natural sciences – Chaos Theory, one of the first articles on the subject was an article by Lorenz where he studied circulation and tried to understand the climate. It’s not for nothing that we talk about the butterfly effect. Everyone knows the butterfly that flaps its wings today in New Zealand and a month later there’s a tsunami or something, because the effects are unpredictable and so – the metaphor of the butterfly effect comes from the meteorological system, the climate, it’s not by chance. It’s really a very complex system. Today we talk about uncertainty if you like. The carbocentrists know well that they can’t reveal too openly their dogma – because it’s become a real dogma – and so they try to show that they are capable of distancing themselves from their work, so they talk about uncertainty. For them, roughly speaking, uncertainty means: “Will the apocalypse take place in 2050 or 2060?” I’m caricaturing a bit but it’s essentially that..
BR: I said that I’m presenting a caricature rapidly, but everyone understands what I mean. Roughly speaking they’re saying, the sea will rise two metres, but we don’t know whether it will be in one or two centuries. JPD: Climate sceptics have been repeating it for fifteen, twenty years. JPD: Hang on. Let me..
BR: You’re attacking when you talk about climate negationists. It’s a serious attack. I’m not sure whether you realise..
JPD: Wait please. I want to reply..
JPD: Exactly. So, as I was saying, I didn’t see a single argument which hadn’t already been discussed, and received a response. You have discussed with Jean Jouzel, with Hervé le Treut, etcetera. They have replied to you. You have a very good bibliography in your book. And the unwary reader, with the hundreds of articles, all tending in the same direction, the unwary reader would say; “Ooh la la! It’s an extraordinarily strong movement, climate scepticism!” But the problem is that there are about a hundred thousand articles which take the opposing view, about which you don’t say a word, and which in particular refute everything you say, and in particular the argument that there’s been a pause in the rise in temperature. Ok, there are articles which appeared just last week in Science, Nature, etcetera, which show that this pause is an invention, is an artifact as we say in science, that is to say that it’s linked to the kind of observation that we make, to the type of measurement etcetera etcetera. Ok. So I want to talk about uncertainty because you say it’s an absolutely crucial point, and you say that it’s ignorance. I made a distinction and I’d like you to take it seriously, the distinction between epistemic uncertainty and objective uncertainty. There’s an example of that which is found in almost all the problems of risk, the environmental problems, and which I had to deal with as part of my job as President of the Ethical Committee of the Authority, the Institute, the Centre for Research on Nuclear Security, the RSN. It’s the existence of events of an extremely low probability of extraordinary magnitude. Ok. In the nuclear case there are two cases, two illustrations of that, the probability of a Chernobyl-type accident, or Fukushima, and the consequences are enormous. The “dual case” as we say in mathematics is the case of a catastrophe, or a – not a catastrophe, of a situation – which seriously affects a very larger number of people, let’s say ten million, but each one of these people infinitely little. In one case it’s infinity, zero times infinity, in the other it’s infinity times zero. So, you have a chapter about Pascal’s wager, and that you conclude in a rather extraordinary manner by saying: “Zero probability a priori that God exists, for example, but the sum wagered is infinitely large and zero multiplied by infinity equals zero.” And you quote Emile Borel, who was a very great expert in probability theory, and a great populariser of mathematics, like yourself, whom I read in the fifties or sixties, but look, Emile Borel was born in 1870-75. Since then, in our thinking about the infinitely small and the infinitely large, we’ve made huge progress. And that’s what I want to talk about. AVR: What’s the problem with Pascal’s wager? JPD: We’re talking about philosophy here, really. We’re talking about philosophy. That’s to say, what I want to talk about is something well known in French philosophy, I mean – well known among those who understand philosophy – it’s the Reverend Father Dominic Dubarle in his conceptualisation and formalisation of Hegelian dialectic who used this technique called non-standard arithmetic, which is a way of dealing with the infinitely small and the infinitely large. AVR: Well known, I’m not sure, so tell us about it. JPD: I’ll explain. I’ll explain this point which is absolutely essential. And I’d like to discuss this sort of thing! AVR: Well go on, go on. JPD: Good. So, in order not to bore the listener, I’ll take an example, which is an example which the American mathematician John Allen Paulos took – it’s an article in the New York Times – during the election campaign between Al Gore and Bush, where it was impossible to come to a decision between them because the number of votes which swung the election was less than the precision of the instruments of measurement which counted the vote. So, he takes the following example. It’s the case of a keeper at the Museum of Natural History of New York, let’s say, who shows the visitors the huge tyrannosaurus which is there in the middle. 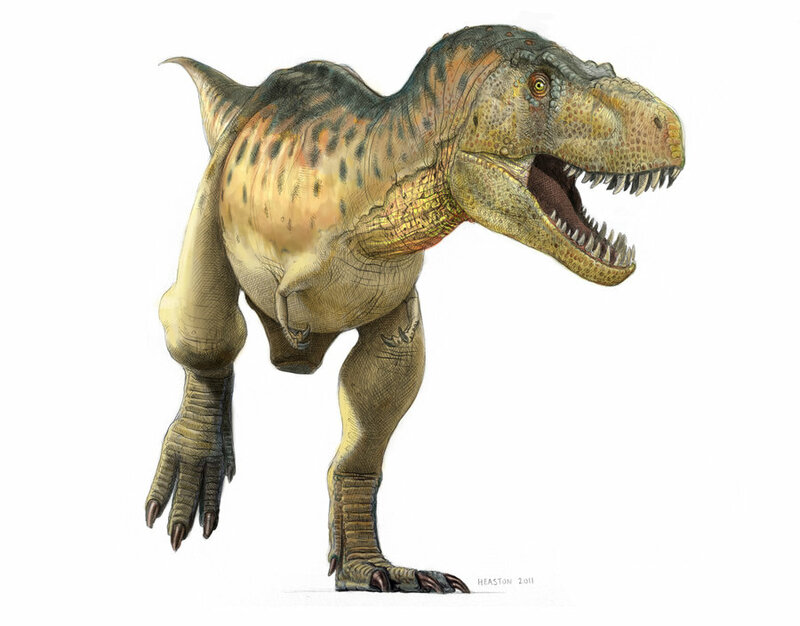 And he says: ‘This tyrannosaurus is 70,000,006 years old.” Ok, the people hear that and say: “Well, are you sure? 70,000,006 years?” And he replies: “Yes, I’m sure, because when I started work here they told me it was 70 million years old, and that was six years ago.” Ok, that’s amusing, but..
AVR: So it’s the way of calculating that you contest there. BR: Well, obviously I don’t agree with that. I’ll try and explain in a simpler more concise fashion. The chapter you refer to is in answer to the argument that we are not sure – it’s an argument that one hears often when one explains that temperatures are more or less stable, that there a whole lot of things that don’t correspond, in short – people are generally quite receptive to that. But when their backs are to the wall and they try to defend this kind of belief they say: “OK, we’re not sure, but if it’s true, the consequences will be such that we can’t allow ourselves to not act.” And that, I say that..
BR: Can I get a word in? JPD: I was talking about epistemology and mathematics. I wasn’t talking about catastrophe..
BR: I’m talking about climate. You were talking about tyrannosauruses. Fine, but I’m talking about the climate. AVR: …which he is, in fact. BR: Can I finish, can I finish what I was saying? AVR: What actually is your position Benoît Rittaud, what exactly do you not believe, you climate sceptics? Is it the scientific arguments put forward in favour of global warming, is it our responsibility for the warming, is it the political and media use made of ..? BR: It’s a lot of things together. To be quite clear, I believe the carbocentrists – briefly, those who agree with the IPCC, all those who work for the IPCC – are serious scientists. And it’s what I’ve written, what I believe, and I’ve never..
JPD: You called them the walking dead, the walking dead! What do you expect..? BR: The walking dead are not the people themselves, it’s the theory. BR: Oh yes. You have to read it. Otherwise you twist the words..
BR:..real scientists who have made the same mistake as other scientists before them when politics has entered the story, which is that they believed that their specialist knowledge protected them from being exploited. Scientists in general..
AVR: Being exploited in what way? Voice 3: [my translation of French translation of Al Gore] All the experts agree that it’s we who are responsible for the warming. I’m Al Gore, I’m the ex- future president of the USA. This is Patagonia 75 years ago, and the same glacier today. Kilimanjaro 30 years ago, and last year. In ten years’ time the snows of Kilimanjaro will have disappeared. This is really not a political question, but a moral question. Temperatures are rising everywhere in the world, causing ever more violent storms. The fastest is in the Arctic. If this continues the sea level will rise six metres, and here’s what would happen in Florida, around Shanghai, 40 million inhabitants, the region of Calcutta, 60 million inhabitants, Manhattan, the World Trade Center Memorial would be under water. Think of an exodus of 2000 refugees and imagine if they were 60 million. We have to act together to solve this planetary crisis. It’s our survival which is at stake. Song: Out where the river broke, the bloodwood and the desert oak, olden wrecks and boiling diesels, steam in forty five degrees. The time has come to say fair’s fair, to pay the rent, to pay our share. The time has come, a fact’s a fact. It belongs to them, let’s give it back. How can we dance when our earth is turning? How do we sleep while our beds are burning? JPD: You see, the only really good way to reply to that question would be to do what I’ve been trying to do up to now in this programme, which is to undertake a serious philosophical investigation into the epistemology of the mathematical models of the climate. Ok. But it’s extremely difficult to do in a programme, even an excellent philosophy programme like yours. AVR: Thank you but please can you reply to the exploitation, the modelisation? your reply…? JPD: Well, yes, because the only way to justify the work done in climatology is to talk about its models, about its mathematical models, and about the uncertainty which is linked, about .. The thing that’s most extraordinary in Benoît Rittaud’s book is that there isn’t a word, not a single word, about the climate models. There are time series, there are correlations – I know perfectly well that you are a statistician – there’s the saying, no doubt apocryphal, attributed to Einstein, “To a hammer, all problems look like a nail” isn’t it? So, to me, listen, all my scientific and philosophical experience has taught me that there’s no science without mathematical modelling. Imagine Newton’s theory which I mentioned just now, imagine Einstein’s theory or General Relativity without mathematical modelling. The proof is that even the human sciences are fascinated by mathematical modelling, and the only one which has a Nobel Prize, which besides, isn’t a real Nobel Prize, is economics, which shows by the way that the fact of having mathematical models is not a condition – it’s a necessary condition for being a science but it’s not a sufficient condition, that the models can be very bad, you see. JPD: So, we need to talk about them. Ok, so what causes climate change? Ok, first of all it comes effectively from cosmic causes. Everyone knows that the axis of rotation of the earth in relation to the plane of the ecliptic, that’s to say the plane in which the earth turns around the sun, and – the earth is on a slant if you like, like a top turning, which isn’t always perpendicular to the ground. This angle, we know what it is nowadays, but in fact we’ve only known it recently, even if Rousseau put forward the hypothesis – this angle varies over the centuries and above all the millenia, Ok. Today the earth’s axis of rotation of the earth points in the sky at a star called the Pole Star, which is roughly speaking the star Alpha of the Little Bear constellation. Four or five thousand years ago during the Bronze Age it was a quite different star, which was the star Alpha of the Dragon constellation, and in three thousand years’ time it will be a quite different star. Ok. Rousseau, in his “Discourse on the Origin of Languages” hypothesised that the origin of a civilisation, he thought precisely that it was a sudden catastrophic phenomenon – a “tipping point” as they say in English – which saw the earth’s axis suddenly change direction, which created the seasons, obviously, and the populations gathered in the temperate regions, and that’s how civilisation came about. Now, Rousseau wasn’t entirely wrong, but nowadays we know that this axis of rotation changes all the time, not all the time but over a period of millenia. So that’s the cosmic forcing, you see, which first explains..
AVR: ..the origin of climate change. JPD: Absolutely. Everything stems from that. So it’s true that..
BR: I don’t know whether..
JPD: No, but wait, wait. BR: I don’t understand. You’re talking about the seasons or what? JPD: The best way, the best way to, the best way to, er, I’ve forgotten my..
AVR: What is this model? Because obviously you agree with Benoît that there’s a model, so..
JPD: There are lots of them, so..
AVR: But I think you agree about that. It’s the nature of the model itself that..
which covers a major part of Siberia, and which, when it melts because of the rise in temperature releases methane – CH4 – which contributes itself, etcetera. AVR: So, do you agree with that? BR: Now the seasons are not something recent, known since antiquity. It’s not that, the cosmic forcing. When we talk of cosmic forcing, we’re talking about something quite different, it’s the influence of the sun, the galactic year so it’s something completely different, nothing to do with the seasons. Then, if we’re going to talk about models, since we haven’t – it’s a distinction that you can contest, obviously, a distinction between model and theory. A simple way of putting it is that a theory is something which goes beyond what you can observe directly. Newton’s theory, for example, allows us to predict things, anticipate phenomena, and that provides a conceptual framework that goes beyond the problem that gave birth to it. It’s very rough presentation, of course. While a model has an object which doesn’t change, this object, and one tries to play around with the maths to make sense of it. I realise that it’s very quick because the time is passing. So what’s important to understand in the case of the climate is that there isn’t a theory of climate. We don’t have a global climate theory, to the point that one can ask the question: “Is there such a thing as a global climate?” I want to say something: when we talk about the earth’s temperature, you can attribute a sense to it, but is it really a sense that has a real physical meaning? You can question the method of calculating it – the way you calculate the temperature in a system very non-homogenous like the earth – it’s very cold here, very hot there – according to the way you measure it, you can say it’s warming or it’s cooling, – very interesting questions of mathematics. It really depends on the way you approach the subject. AVR: It’s the hockey stick. AVR: Ok, but that… right, people make mistakes..
BR: No, the graph showed clearly how the models diverge completely from the observations and it’s something – there are lots of ways of showing it – the predictions of the disappearance of the polar ice by Al Gore quoted just now. The Nobel Peace Prize winner in his speech in 2007 said that the ice at the North Pole, the Arctic ice, will have melted by 2013. AVR: But it’s one thing to denounce catastrophism, but another to say that no prediction is possible, and that there’s no reason to worry. BR: Yes, but one forgets that they are no more than predictions. And we’ve never managed to make predictions of this kind, and they’re predictions using tools which haven’t been tried and tested, and when we look at the observations, that’s to say reality, we don’t see anything very worrying. Obviously there’s something there, the climate is made up of lots of things, there are lots of graphs to look at, to study, and it’s all very well to see if there’s one that goes in one direction or another, but on the whole, there’s not a lot going on. AVR: So Jean Pierre, do you think the models allow us to predict..? AVR: .. change of such a magnitude? JPD: We’re not here to discuss..
JPD: Climate science, if it’s a science, it’s false! It’s false! It will be shown to be false, exactly as Newton’s theory is false today because it rests on..
AVR: There are thirty seconds left Jean Pierre. The climate, with respect to.. come back to the climate, because on the epistemological question we’re a long way away..
JPD: But climate science, which is a science, and therefore potentially false. That’s what you have to understand. Ok, It will be refuted..
JPD: No because he, like all the climate sceptics, allow me, you’ll allow me to say that you’ve lost the battle of public opinion because.. which doesn’t show that you’re wrong..
BR: If you ask me..
JPD: In the public, you’ve lost, that doesn’t mean you’re wrong..
JPD: I thought this programme would be an opportunity to talk about things which are really serious, by which I mean.. Tags: debate, France, sceptics, transcript. Bookmark the permalink. Previous post ← Hurricane Patricia: So why did the world’s ‘most powerful tropical cyclone ever recorded’ inflict so little damage? How can one not be a climate skeptic today; the field is so rich with fallen or trembling icons. Pour ce que cela vaut , bonne traduction, j’ai écouté le “débat” et il a été bien aussi illisible que cela, mais à mon point de vue , la question peut difficilement être traitée rapidement : comme les débatteurs le disent, parlons des modèles et de l’idée d’incertitude associée mais pas d’un point de vue philosophique!! Le simple mot incertitude est un repoussoir pour les zélateurs de la théorie c’est un sujet qu’ils éludent,et c’est pourtant à mon point de vue celui dont il faudrait toujours parler. My respect for french philosophers took another dive. Too bloody clever by half! But thanks, Geoff, for your translation. The part about Popper and Lakatos seems academic to me. Of course all useful theories have limitations, just as Newtonian mechanics is very useful for most of our experience but is not correct at the subatomic level. Rittaud seems to have done a better job of communicating. This pattern happens a lot in such discussions it seems. JPD speaks of ” “Climate Change Deniers” – i.e. climate change negationists”, then in his next breath says “No ad hominem attacks please”. Hmmm… Do I detect a whiff of desperation from the Alarmist camp? Thanks for the potted version. I did intend to make an article out of extracts, but I thought I’d be accused of cherry-picking, so I did a complete transcript (except for some off-topic announcements by the programme presenter) which I realise is too long for most tastes. You captured the essence. It was fascinating to me that the defender of the official position Jean-Pierre Dupuy continually advanced the commonly used false unscientific arguments, and then immediately agreed that they are false. Consensus, the battle for public opinion, the argument from authority, are all advanced, then rejected as unimportant in the face of “the science”. But he resolutely refuses to discuss “the science” until the end, where he tops off a garbled post-Popperian rant with “Climate science, if it’s a science, it’s false!” Perfect.